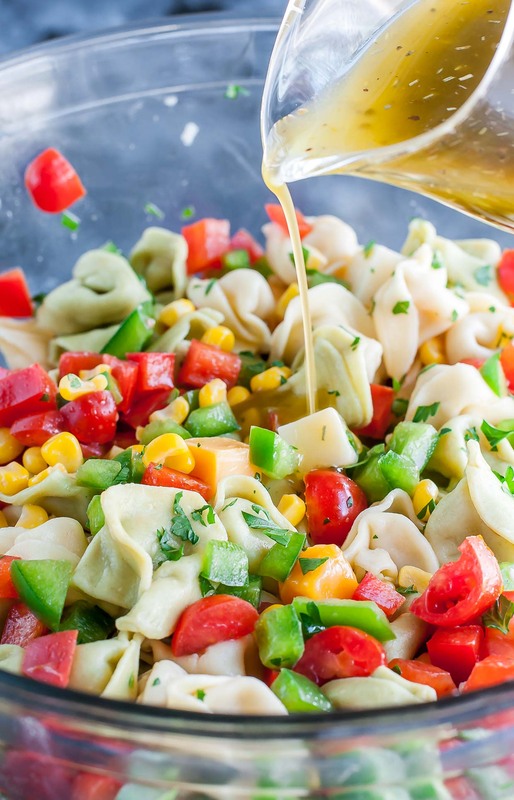 No kit or bottled dressing needed, whip up the most delicious pasta salad at home with these quick and easy pasta salad dressing recipes! They’re full of flavor and can be made in advance for drizzling over salads all week long! Spring has sprung here in Florida and it already feels like Summer. YOWZA! Let’s beat the heat and chill our pasta! The unofficially official side dish of picnics and barbecues alike and here in the South, pasta salad is a total no-brainer. Today I’m sharing my simple equation to help you whip up the most amazing custom pasta salad of your dreams, along with three tasty pasta salad dressing recipes that’ll have you coming back for more. First up, let’s start with some carbs! Use your favorite variety or clean out your pantry and use a combination of pasta shapes from all the unopened boxes in your pantry! 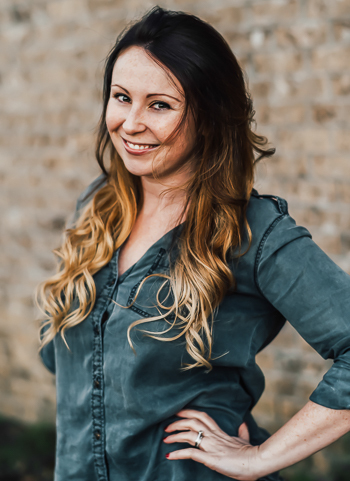 ABC Pasta – when you’re channeling your inner child… or feeding the kiddos! These tasty pasta salad toppers are next-level delicious! I’ve included a mix of vegan, vegetarian, and T-Rex options. If you need some extra inspiration for your dream-combo pasta salad, I’ll list my favorite recipes at the bottom of this post. Now let’s dress it up! These easy homemade salad dressing recipes pair perfectly with pasta! 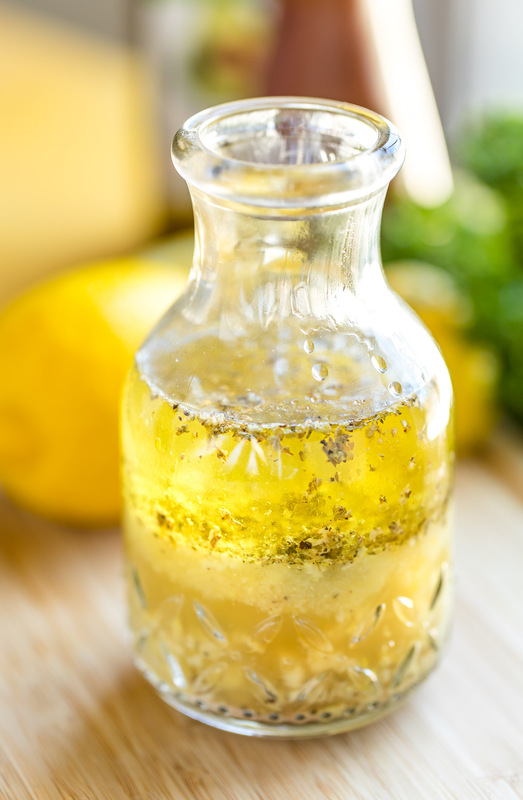 The Italian dressing is our original go-to pasta salad dressing but recently I’ve started to mix things up with a Greek vinaigrette and lemon dressing too. 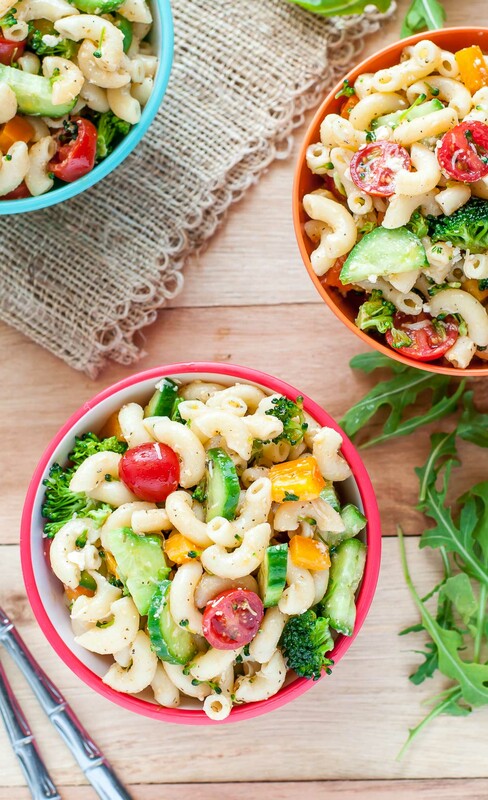 Pasta salad for everyone! 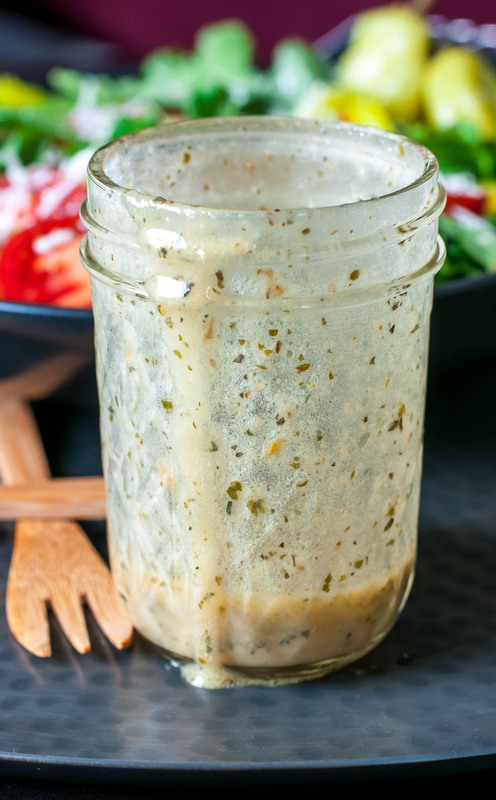 Pasta Salad Dressing - 3 Delicious Recipes! 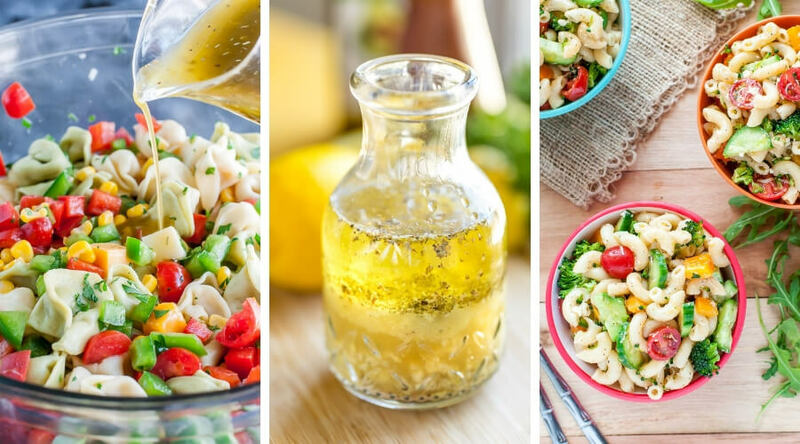 No kit or bottled dressing needed, whip up the most delicious pasta salad at home with these quick and easy pasta salad dressing recipes! They're full of flavor and can be made in advance for drizzling over salads all week long! Whisk all ingredients together (or shake 'em up in a lidded mason jar) and allow to sit. Giving the dressing some time to mingle will not only infuse flavor into the oil/vinegar but also soften the dry herbs and seasoning. Combine ingredients in a lidded jar and shake vigorously to emulsify. Allow to sit while you toss together your salad, then shake again before pouring over your pasta. Zest 1 lemon and set aside. Juice your lemons to yield 1/4 cup of juice and add to a small/medium mason jar. Add lemon zest and remaining dressing ingredients and close lid tightly. Shake well to emulsify the dressing, then pour over pasta salad. The lemon dressing above is AMAZING with both my Mediterranean Pasta Salad with Arugula and Feta and Lemon Asparagus Pasta Salad. I use the Greek dressing in my Greek Orzo Pasta Salad and it’s amazing on classic pasta salad too! As for the Italian dressing, it’s great on everything! If you get a chance to try one (or all three!) of these easy homemade pasta salad dressing recipes, let me know! Leave some love in the comment form below or tag your photos with @peasandcrayons on Instagram so I can happy dance over your creation! I can’t wait to see what you whip up!